“(i) Whether, on the facts and circumstances of the case, the Tribunal was justified in reversing the well versed and speaking orders of the first appellate authority in deleting the penalty so levied by the Assessing Officer under section 271(1)(c) of the Income-tax Act, 1961 ? (ii) Whether, on the facts and circumstances of the case, the Tribunal was justified in reversing the well versed and speaking orders of the first appellate authority by holding that the revised return was filed after detection of concealed income which is against the facts and established principles of law that surrender/admission by filing revised return will not lead to concealment wherein the surrender has been accepted as such without making any further enquiries? 2. The assessee derives income from property dealings. After assessment was completed, it came to the notice of the Assessing Officer that assessee had substantial transactions in bank which were not disclosed. Proceedings were initiated for reassessment. The assessee filed revised return and offered the peak credits in the bank account and interest thereon, with a condition that no penalty be imposed and he may not be prosecuted. The Assessing Officer did not accept the conditions. The Assessing Officer completed the assessment and also initiated proceedings for penalty for the assessment years in question. After following due procedure, penalty was imposed. 3. The CIT(A) accepted the plea of the assessee to the effect that the assessee having filed higher return and surrendered the undisclosed income, penalty was not leviable. Reliance was placed on the judgment of Hon’ble Supreme Court in CIT v. Suresh Chandra Mittal  251 ITR 9. “We have heard both the parties and perused the material placed on record. 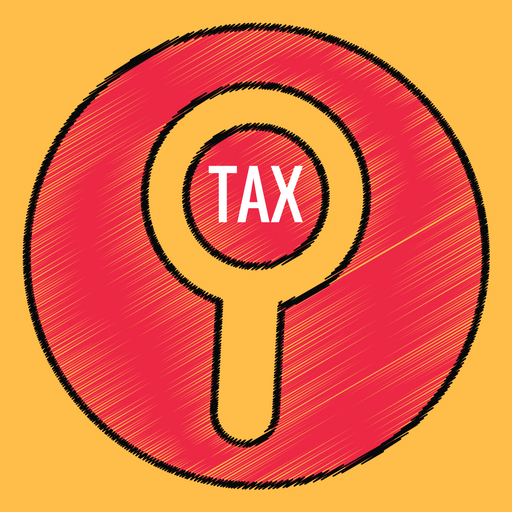 The question of concealment of income or furnishing of inaccurate particulars of income for the purpose of section 271(1)(c) of the Income-tax Act, 1961 is to be determined with reference to the original return. Even if the income is surrendered in the revised return, the assessee still have to explain why the income was not shown and why inaccurate particulars of income were furnished in the original return. In case of bona fide error or in case of technical or venial breach of statutory provisions, the assessee might not be held guilty of default under section 271(1)(c) of the Act, where the assessee has fully cooperated with the Revenue authorities. On the other hand, when from the very beginning, the assessee has intentionally concealed income or furnished inaccurate particulars of income, there is no question of assessee escaping penalty on account of filing of revised return Blameworthiness attached to the assessee with reference to the original return cannot be avoided by filing revised return after concealment was detected by the Revenue authorities. Where the concealment of Income made in the original return or where the surrender of income made was not voluntarily. But was as a result of detection by the Assessing Officer, filing of revised return of is no consequence. Section 139(5) applies to limited recourse of cases where in the original return, there was any omission or any wrong statement and not to cases of concealment or false statement if a case does not fall under section 139(5) of the Act, the fact that revised return was filed after any investigation was started by the income-tax department will be of no consequence. In the present case, admittedly, the assessee has not disclosed the impugned bank accounts where the huge amounts were lying. There is no whisper about these bank accounts in the original return. The department detected these bank accounts and thereafter issued notice under section 148 of the Act. After receipt of notice under section 148, the assessee filed the return and also filed a letter that amount offered for taxation, no penalty proceedings be initiated. In our opinion, the letter filed by the assessee is of no consequence and that surrender was made on detection of the bank accounts by the department and it is not a voluntary disclosure. Only because the assessee filed a letter stating that the assessee offered additional income appearing in the bank voluntary surrender. The assessee was forced to surrender the income and the letter given by the assessee that no penalty may be initiated was not acceptable to the department and the Assessing Officer has given a letter to the assessee that he would not consider that portion of the letter…. 7.1 But in the present case, the assessee has not disclosed to impugned bank accounts to the department. These accounts were disclosed by the assessee in the revised return only after the detection by the department. These accounts would not have been disclosed to the department, had the department not detected the same. Further, in the case of K.P. Madhusudhanan v. CIT 251 ITR 99 (SC), it was held that it cannot be laid down as a general prescription that no penalty can be levied for agreed assessment; assessee having surrendered the amount of unexplained credits for assessment clearly admitting that entries were not recorded by him on the correct dates and temporary loans obtained by him were not recorded at all, he was liable to penalty under section 271(1)(c) of Income-tax Act, read with Explanation 1 of the I.T. Act. 7.2 Further, in the present case, the assessee has not been able to lead any evidence that the revised returns were filed by the assessee merely the result of inadvertent mistake of omissions. The assessee furnished inaccurate particular of his income and also concealed particulars of his income while filing the original return and was not able to establish the inadvertent mistake or omission in the original return, when declared showing much larger income in the revised return. Out view of this is supported by the judgment of Hon’ble Supreme Court in the case of G.C. Aggarwal v. CIT, Assam, Nagaland, etc. 186 ITR 571, where the Hon’ble Supreme Court confirmed the judgment of Hon’ble Gauhati High Court in the case of G.C. Agarwal v. CIT Reported in 102 ITR 408. 5. We have heard learned counsel for the appellant. 6. The main contention raised by the learned counsel for the appellant is that the assessee had plausible explanation to give and the assessee having surrendered the income and no further enquiry having been held, penalty was not justified. (xiv) CIT v. Suraj Bhan  294 ITR 481 (Punj. & Har.). 8. We do not find any merit in the contention raised. The plausibility or otherwise the explanation of the assessee was a pure question of fact. Admittedly, the assessee concealed transactions in the bank account and when notice of reassessment was issued, finding no other way out, the assessee surrendered income, to avoid penal consequences. In such a situation, it could not be held, as was held in the cases relied upon, that the assessees wanted to buy peace of mind and there was no evidence of concealment, which called for penalty. This is not a case where penalty has been imposed only because assessee disclosed higher income voluntarily but a case of clear concealment where the assessee having found no other way out, was forced to surrender undisclosed income. The judgments relied upon do not apply. 9. No substantial question of law arises. The appeal is dismissed. This entry was posted in Sec. 271(1)(c ), Section 271 and tagged 335 ITR, In favour of Revenue, penalty for concealment, penalty u/s 271(1)(c), Punjab And Haryana High Court.